A well thought out sober interiors makes for a very warm and welcoming room while the wall prints add to the creativity of the space. Large windows with beautiful curtains give off fresh vibes. 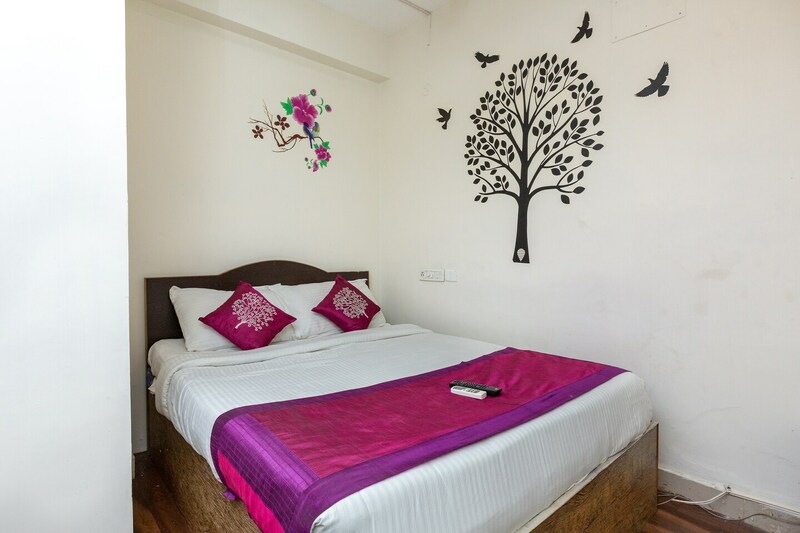 The bathrooms are well-maintained and equipped with modern amenities. Two cabinets on either side of the bed makes sure that you have ample room to keep all your belongings. Your stay is made so much more comfortable by the proximity of the hotel to city services. With free Wi-Fi and a lot of facilities, this place is a good fit.